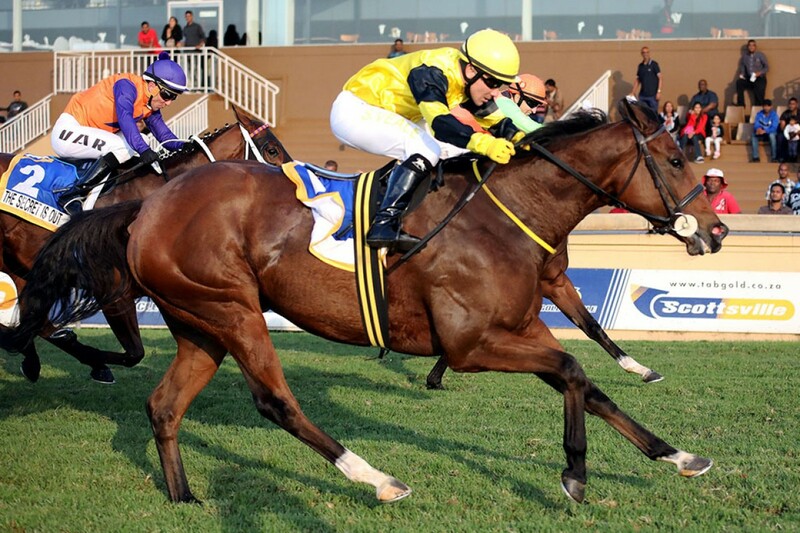 Maine Chance Farms’ homebred Sommerlied bounced back to best in the Gr.3 Poinsettia Stakes up the Scottsville straight, thus throwing her hat into the ring for the Gr.1 SA Fillies Sprint on 27 May. Returning from a three-month break, the fleet-footed daughter of Var snapped a three-race losing streak with a determined neck victory over recent KwaZulu-Natal Stakes winner Neptune’s Rain, who is likely to do battle with Sommerlied again, in the Fillies Sprint, which, like the Poinsettia Stakes, is contested over 1200m. This was Sommerlied’s second stakes success, to go along with her victory in Kenilworth’s Listed Laisserfaire Stakes in December. Lightly-raced, she is trained by Dennis Drier and has now won six of her ten starts for stakes totalling R525,625. The four-year-old is out of the imported Pentire mare, Sommermärchen, who foaled an own brother to Sommerlied in 2017 and is once again in foal to Var. Retired to stud a winner from just two starts, Sommermärchen is a half-sister to four stakes performers, notably the champion Italian juvenile filly Scoubidou, by Johan Cruyf.